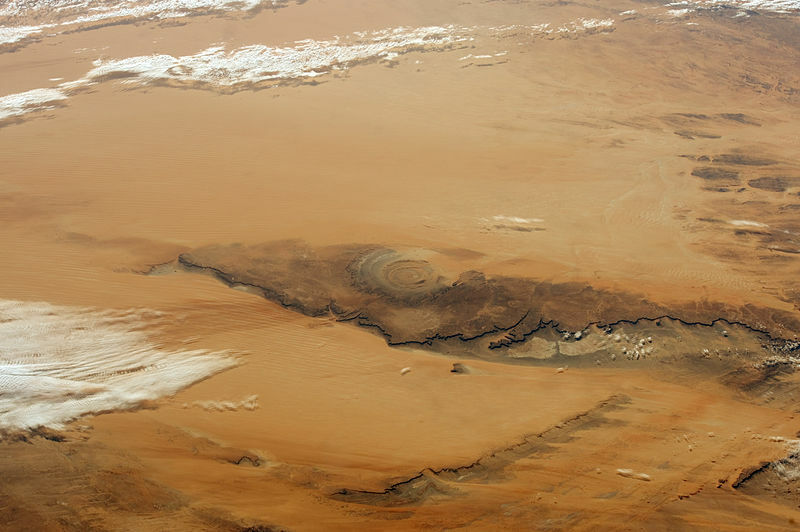 The so-called “Richat Structure” is the largest of 5 round but slightly elliptical and deeply eroded geologic domes in the deserts of in west-central Mauretania. 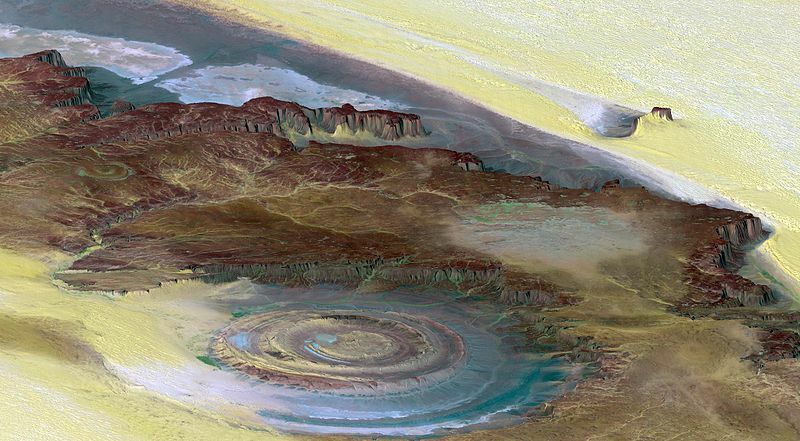 The Richat structure is 40 kilometers in diameter – with outer ring structures.Initially interpreted as an asteroid impact structure because of its high degree of circularity, the Richat Structure is now regarded by geologists as a highly symmetrical and deeply eroded geologic dome. The central area of the circled structure is higher (465m) than the inner and outer rings (420m-390m). The theory explained in the wiki article assumes that the center of the sinkhole wasn`t necessarily lifted up through a central volcanic pipe but through a large alkaline igneous intrusion underlying the strucutre. Astrogeographic position for morphogenetic field level 1 which describes the suraregional topic of the region in relation to the african continent: the strucuture is located in the combination of earth sign Virgo sign of reason, health, retreasing, protection of nature and plants with solid, fixed water sign Scorpio sign of black holes, caves, water containers, magma chambers.